Today I went “Kodaiji Doi” (ryoutei restaurant) to support our clients’ wedding. 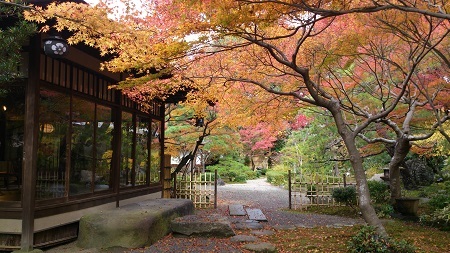 There, Autumn leaves are their best and the guests of the banquet admired the beautiful garden which was designed by Jihei Ogawa. 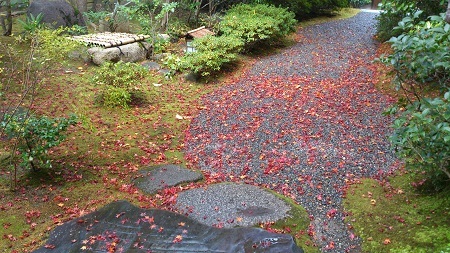 The garden with a stream and waterfall invites the people to the world of silence. Kodaiji Doi respects the spirit of Sado, “serving with a hearty hospitality”. The combination of the excellent dishes prepared with the best ingredients on the day and the exquisite view of the garden. I’m sure Kodaiji Doi will become an unforgettable place for the people who visit there.